The TV show Mad Men om AMC sets a high standard for designer aficionados and gives endless opportunities to pick up inspiration for designers, illustrators and animators. 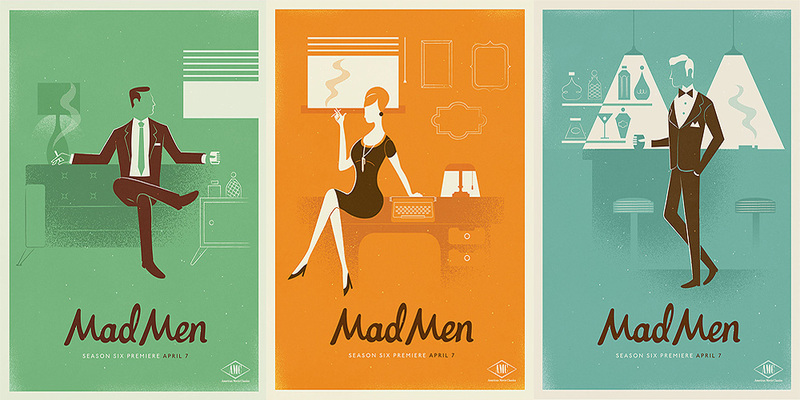 For the season six premiere, Cape Town-based agency Radio came up with a series of three vintage inspired Mad Men posters that feature Don, Roger and Joan in settings that resemble the works of Saul Bass. The three posters are stripped down and clean in their design which allows our imaginations to roam free in Mad Men land. Which one is your favorite?